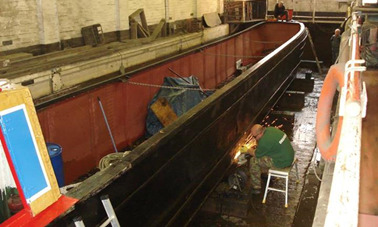 The Friends of Raymond was formed in October 1996 to recover, restore and exhibit Raymond, the last unpowered wooden commercial carrying craft ever built in the UK: by 2002 restoration was complete. 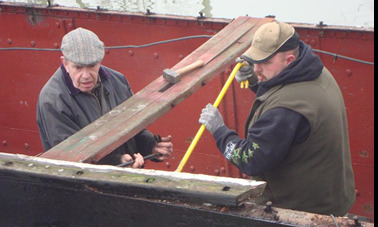 In 2003 Nutfield, which used to tow Raymond when they were working boats, came on the market, and we managed to buy her. 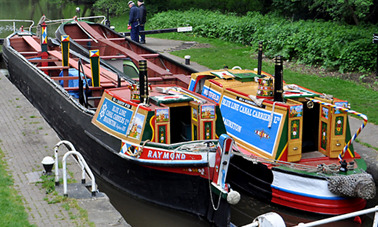 The boats are based at Braunston Marina on the Grand Union Canal. 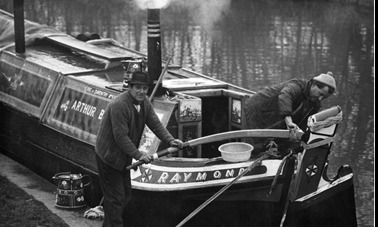 Raymond (launched in 1958) and Nutfield (launched in 1936) worked as a pair right up to the end of the canal trade in the early 1970s when they carried coal from Atherstone in Warwickshire to Southall in North London. 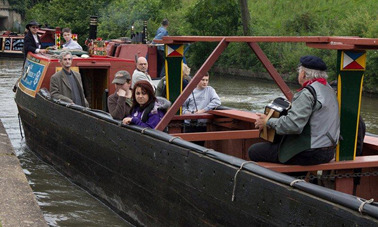 We train people to run the pair in-line or breasted (side by side), and to work the locks efficiently, and that ensures that the old boating skills are kept alive. 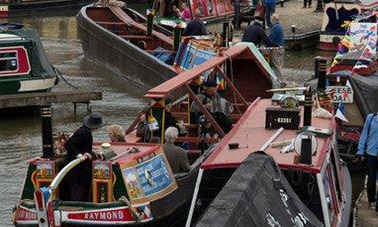 During the Spring and Summer Raymond and Nutfield can be seen passing by on the cut in all their colourful glory on their way to be exhibited at various waterways events where we invite the public on board to explain a bit about the life of a working boat family and the history of commerce on the canals.